As you know, I have a new addiction to mandalas. And I may have mentioned that I am a constant crochet ‘doodler’, never far from my hook and yarn and playing with all sorts of designs all the time. I have found that mandalas and doodling go very well together and this weekend I ‘doodled’ a new design. It needs more work because it doesn’t fulfil all I need from a mandala. So the next stage in the design process is to write the pattern as I made it, but adjusting where I think it needs improving. 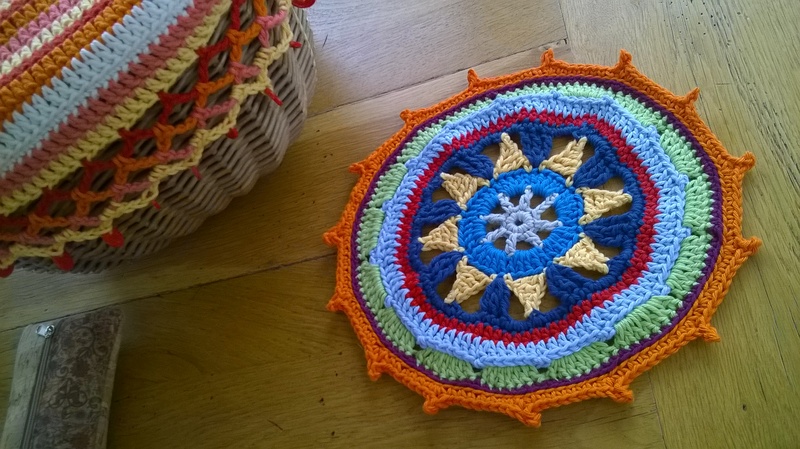 And then I will make another one – using only the pattern. A few people will be invited to test the pattern. Eventually it will become a full fledged design and the pattern will become available. For now it is just one of my latest favourite ‘doodles’. Love this mandala! How do you get started as a pattern tester?